2. Cause when a guy does something stupid once, well that’s because he’s a guy. But if he does the same stupid thing twice, that’s usually to impress some girl. 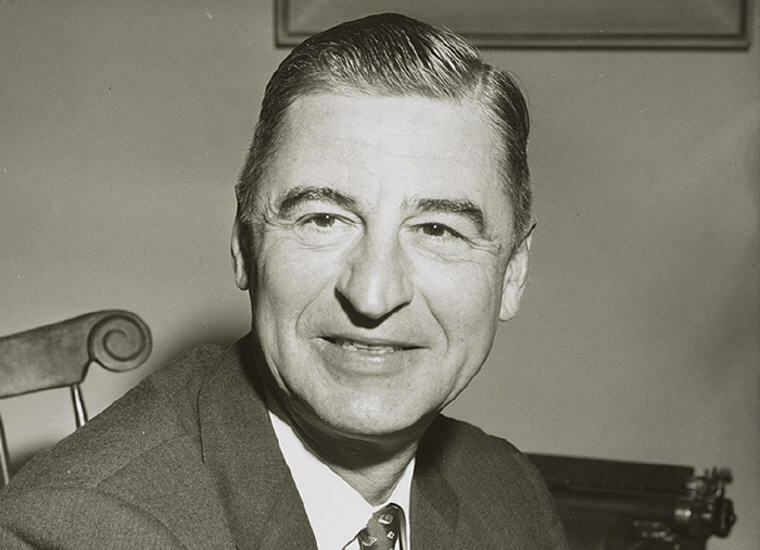 Excerpt from Wikipedia: Theodor Seuss Geisel (March 2, 1904 – September 24, 1991) was an American writer, poet, and cartoonist most widely known for his children’s books written under the pen names Dr. Seuss, Theo LeSieg and, in one case, Rosetta Stone. 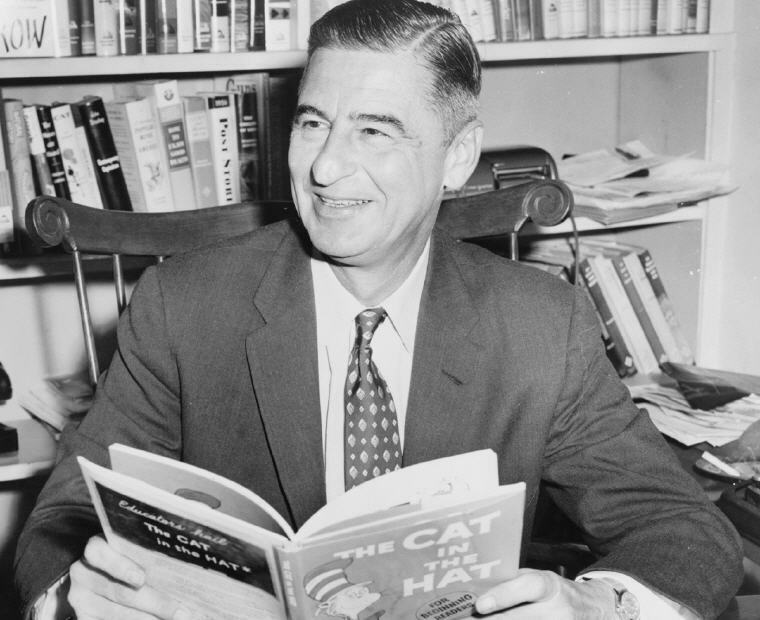 He published 46 children’s books, which were often characterized by imaginative characters, rhyme, and frequent use of trisyllabic meter. 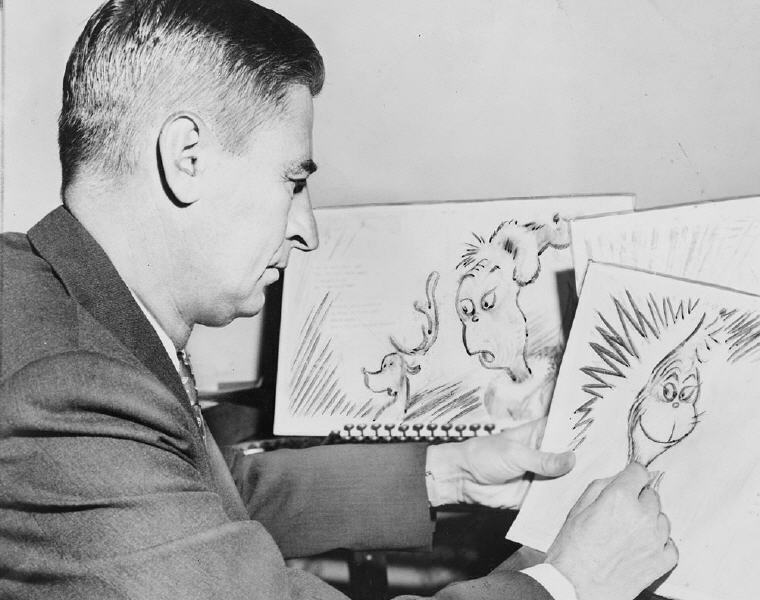 His most celebrated books include the bestselling Green Eggs and Ham, The Cat in the Hat, One Fish Two Fish Red Fish Blue Fish, Horton Hears a Who, Horton Hatches the Egg, and How the Grinch Stole Christmas!. Numerous adaptations of his work have been created, including 11 television specials, four feature films, a Broadway musical and four television series. He won the Lewis Carroll Shelf Award in 1958 for Horton Hatches the Egg and again in 1961 for And to Think That I Saw It on Mulberry Street. 2. Today you are you, that is truer than true. There is no one alive who is youer than you. 4. You make ’em, I amuse ’em. 5. Nonsense wakes up the brain cells. And it helps develop a sense of humor, which is awfully important in this day and age. Humor has a tremendous place in this sordid world. It’s more than just a matter of laughing. If you can see things out of whack, then you can see how things can be in whack. 6. Oh the things you can find if you don’t stay behind! 7. And I learned there are troubles of more than one kind. Some come from ahead and some come from behind. 8. I meant what I said, and I said what I meant. An elephant’s faithful, one hundred percent. 9. I began to get it through my skull that words and pictures were Yin and Yang. I began thinking that words and pictures, married, might possibly produce a progeny more interesting than either parent. 10. The more that you read, the more things you will know. The more that you learn, the more places you’ll go. 11. You’ll miss the best things if you keep your eyes shut. 12. Today is gone. Today was fun. Tomorrow is another one. Every day, from here to there, funny things are everywhere. 13. It’s not about what it is, it’s about what it can become. #14 Oh, the Thinks You Can Think! 14. Think left and think right and think low and think high. Oh, the Thinks you can think up if only you try. 15. You can get help from teachers, but you are going to have to learn a lot by yourself, sitting alone in a room. 16. And when things start to happen, don’t worry, don’t stew. Just go right along, you’ll start happening too! 17. You’re off to great places. Today is your day! Your mountain is waiting. So … get on your way. 19. Onward up many a frightening creek, though your arms may get sore and your sneakers may leak. Oh! The places you’ll go! 20. You have brains in your head. You have feet in your shoes. You can steer yourself any direction you choose. 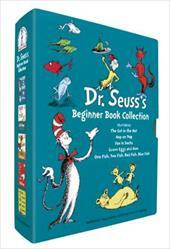 A perfect gift for new parents, birthday celebrations, and happy occasions of all kinds, this collection of five beloved Beginner Books by Dr. Seuss–"The Cat in the Hat, One Fish Two Fish Red Fish Blue Fish, Green Eggs and Ham, Hop on Pop, "and "Fox in Socks"–will be cherished by young and old alike. Ideal for reading aloud or reading alone, they will "begin "a child on the adventure of a lifetime. 1. It is better to know how to learn than to know. 2. I like nonsense, it wakes up the brain cells. Fantasy is a necessary ingredient in living. 3. Sometimes the questions are complicated and the answers are simple. 4. Only you can control your future. 5. Why fit in when you were born to stand out? 6. I start drawing, and eventually the characters involve themselves in a situation. Then in the end, I go back and try to cut out most of the preachments. 7. You know you’re in love when you can’t fall asleep because reality is finally better than your dreams.